Discover eight proven ways you can speed up and improve the quality of your credentialing processes in this new whitepaper. Transform your credentialing processes. 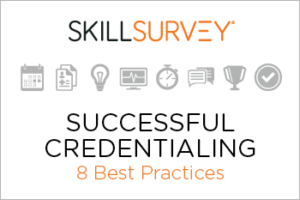 Download our whitepaper, Successful Credentialing: 8 Ways to Enhance Your Credentialing Processes today.